Is Italy a united country, or a loose affiliation of warring states? 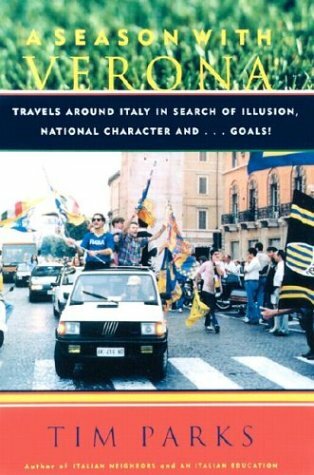 Is Italian football a sport, or an ill-disguised protraction of ancient enmities?Tim Parks goes on the road to follow the fortunes of Hellas Verona football club, to pay a different kind of visit to some of the world's most beautiful cities. This is a highly personal account of one man's relationship with a country, its people and its national sport. A book that combines the pleasures of travel writing with a profound analysis of one country's mad, mad way of keeping itself entertained. 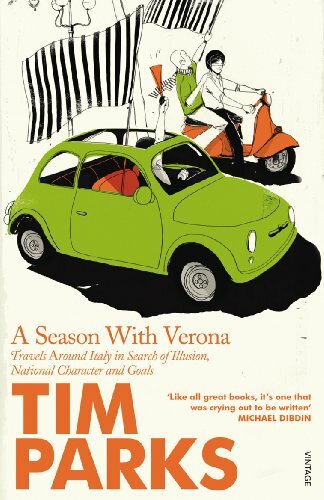 For the last few months Anglo-Italian novelist Tim Parks has been writing of his devotion to Italian football club Hellas Verona in The Guardian. 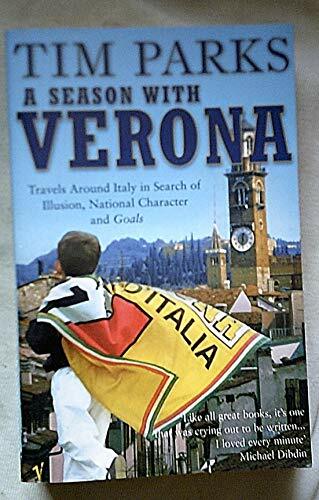 In A Season with Verona we get a chance to read the full and absorbing narrative that lay behind those short snippets. In some ways the book is a standard travelogue. In following his lowly Series A team in their seasonal slog around Italy, Parks gets to visit all the famous sights and cities. What makes this journey so different and so interesting is that Parks is accompanied by vividly ordinary, honestly working-class, determinedly urban Italians and gets to share their Nick Hornbyish highs and lows. 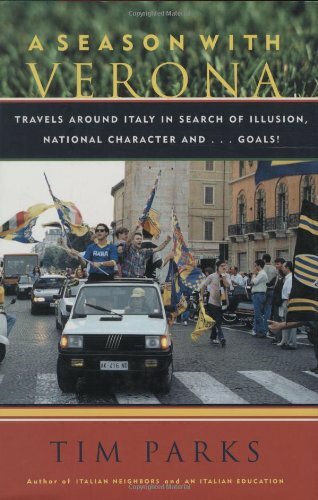 This in turn provides a credible, fresh and revealing insight into the Italian character. These fans do all the normal soccer-supporter things like fight, drink, despair, exult, rant and put each other in comas; but they also do more surprising things, like sing songs in praise of the murderous Liverpool fans of Heysel and give voice to racist feelings about their southern compatriots.